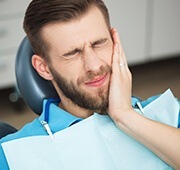 Dental emergencies come in two unpleasant varieties: a sudden injury where a tooth is broken or knocked out, or a severe toothache that seems to come out of nowhere. In either case, immediate dental care is essential to relieve any pain and ensure the problem doesn’t get worse. If you or a loved one ever find yourselves in either one of these situations, you can always turn to Cochell Family Dentistry. We strive to see emergency dental patients as fast as possible so your effected schedule - be it work or play - is minimized along with your pain. 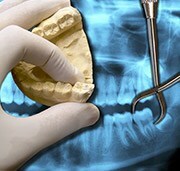 Be sure to give us a call if you need dental care FAST. There are two major subsets of dental emergencies, the first one being accidents, injuries, and general trauma to the teeth and jaw. 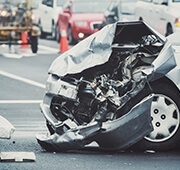 These situations can happen in an instant when you’re least expecting it, leading to painful dental fractures or even fully knocked out teeth. Our team’s goal will be to alleviate the discomfort you’re experiencing right away and then determine the ideal restorative solution for your specific circumstances. Dental crowns or direct bonding may be the right choice for correcting this damage – our goal is to be as conservative as possible and preserve the natural tooth’s structure whenever we can. If one or more teeth must be removed, reconstructive options like dental implants, bridges, and dentures are available as well. Are you experiencing a significant amount of pain or tenderness in a specific tooth? These “toothaches” can occur because of a stuck piece of food or foreign debris, but the most likely cause is an advanced infection that’s raging out of sight beneath the enamel. What’s most important is reaching out to Cochell Family Dentistry right away for further assistance. 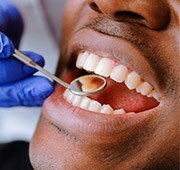 The earlier we can assess your infection and remove diseased bacteria from within the mouth, the better chances are that we will be able to successfully preserve it and avoid extraction. Dr. Travis Cochell and Dr. Christel Cochell have been serving dental patients of all kinds since 2005, and their comfortable, family-friendly practice will help you feel as relaxed as possible during emergency situations. We are also one of only a few private practices in the greater Salem area who offer appointment availability on Fridays, so don’t hesitate to contact us if you are struggling with a severe injury and/or distracting oral pain. We will address your concerns conveniently, compassionately, and effectively with well-developed skills and modern technology. Do you have a toothache that just won’t seem to go away, or maybe it’s constantly getting worse? The problem could be an infection that’s reached the interior nerve of the tooth, known as the dental pulp. Typically, the only way to relieve the pain and save the tooth at this point is with root canal therapy, which contrary to popular belief, is NOT a painful procedure. With it, our doctors can restore even the most damaged teeth and ensure they remain in the smile for many years to come. If you or your child ever need an extraction, we’ll use a gentle touch and sedation dentistry if needed to ensure that you're comfortable the entire time.